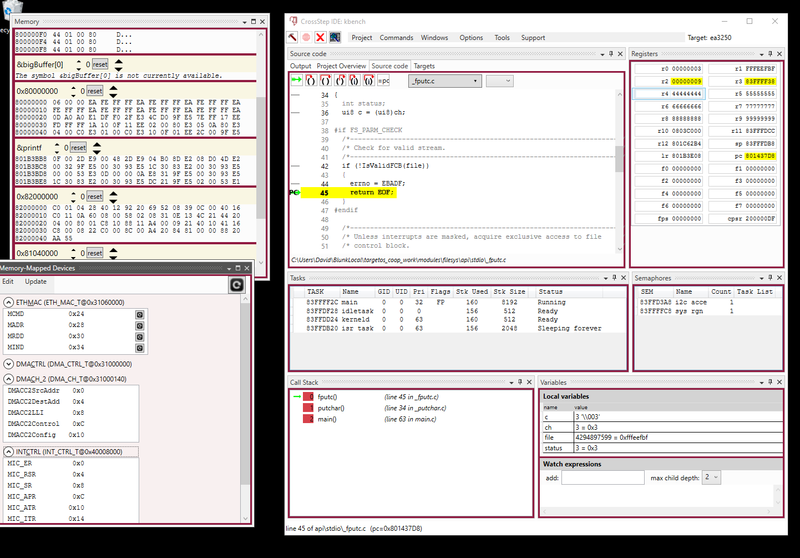 CrossStep is an Integrated Development Environment (IDE) from Blunk Microsystems designed exclusively for embedded developers using TargetOS. It is free to use and it includes everything developers need to ensure on-time development and delivery of successful embedded projects. 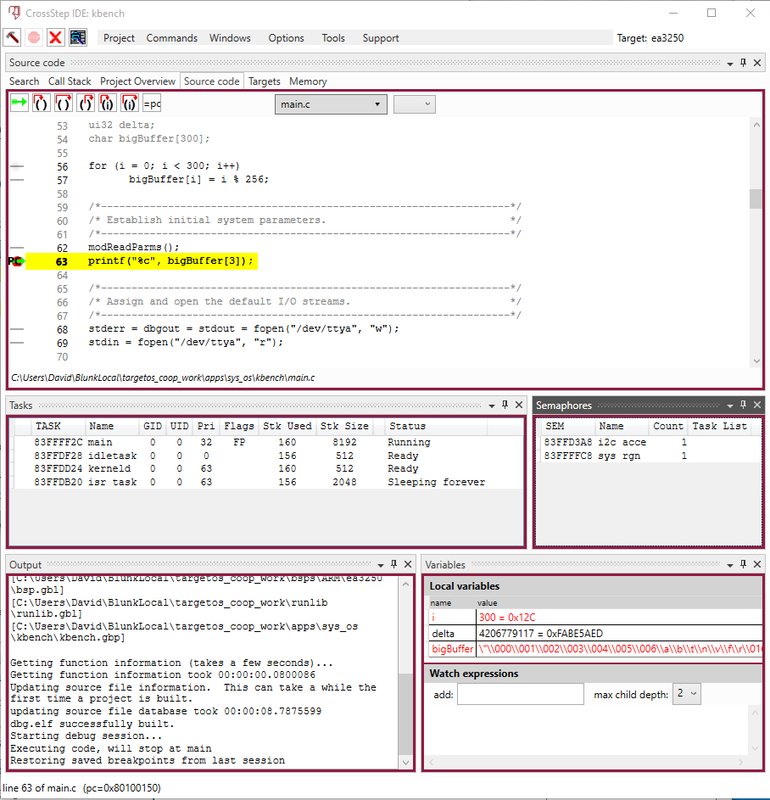 Full awareness of TargetOS: view non-running tasks, as well as other kernel objects such as semaphores, queues, memory regions, etc. 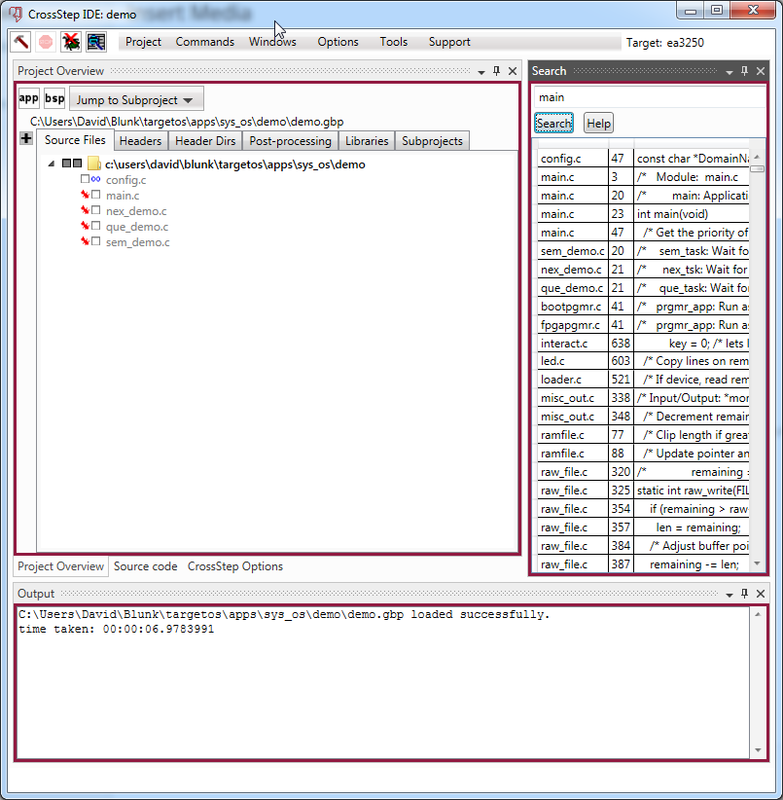 Both builder and debugger can be automated using Python scripts, so for example building and testing can be done unattended.